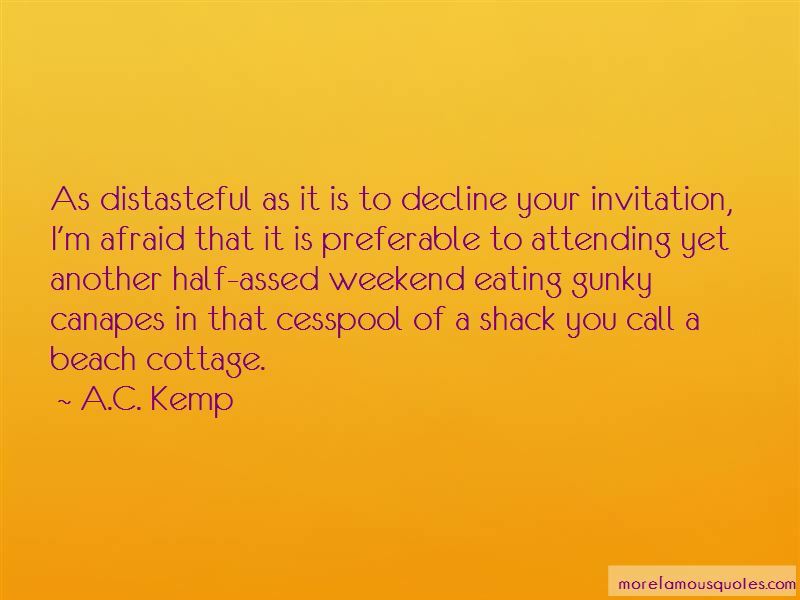 Enjoy the top 4 famous quotes, sayings and quotations by A.C. Kemp. 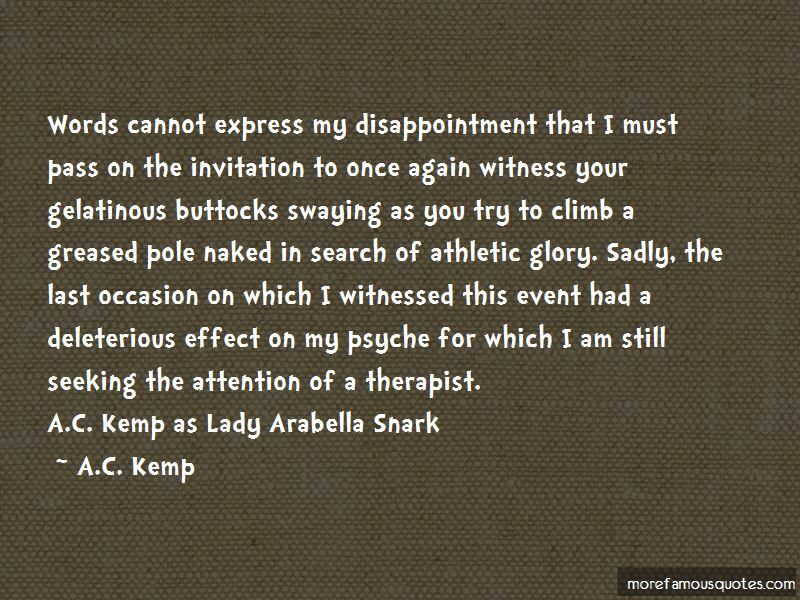 “Words cannot express my disappointment that I must pass on the invitation to once again witness your gelatinous buttocks swaying as you try to climb a greased pole naked in search of athletic glory. Sadly, the last occasion on which I witnessed this event had a deleterious effect on my psyche for which I am still seeking the attention of a therapist. This "who's on top" banter continues until one wrestler (who has slyly gone to hide behind a chair) leaps upon his rival with an animal cry. The pair then proceeds to create a series of tableaux that appear to be from the Kama Sutra, Vatsyayana's ancient Indian textbook of carnal satisfaction. Occasionally, the tension is broken by a wrestler who picks up a large object, such as a table, to throw on the other's head, as if suddenly disgusted by his forbidden love. Want to see more pictures of A.C. Kemp quotes? 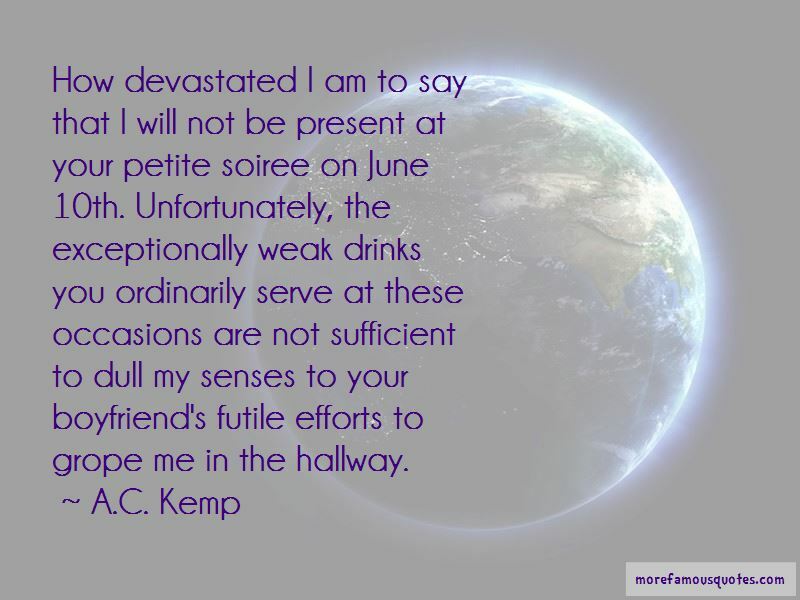 Click on image of A.C. Kemp quotes to view full size.